These are sure to please every kid — both young and old - maple-y s'mores. (NC) The next time you're craving s'mores, try this maple-y take on the traditional version that you can make without a campfire. These are sure to please every kid — both young and old. Preheat broiler. Line a small baking sheet with foil. Gently pry cookies into 2 halves, using a butter knife if required. Top one half with a piece of chocolate. Place marshmallows on prepared sheet. Broil, watching constantly, about 30 seconds or until dark golden. Tip marshmallows onto their sides and broil another 15 to 30 seconds or until toasted. 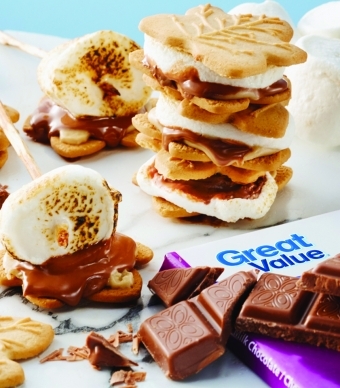 Place a toasted marshmallow on top of chocolate and sandwich with top cookie. Let stand 1 minute before eating — if you can wait! Find more recipe inspiration, visit walmart.ca/recipecentre.